To avoid detection, bowhunters should do everything possible to reduce or eliminate human odor. One product, ElimiShield, claims to do just that. Visiting with Tommy Lancaster of Bryson Industries opened my eyes to a fresh approach to scent elimination for bowhunters. ElimiShield operates under the Bryson umbrella and produces odor-control products for multiple fields. 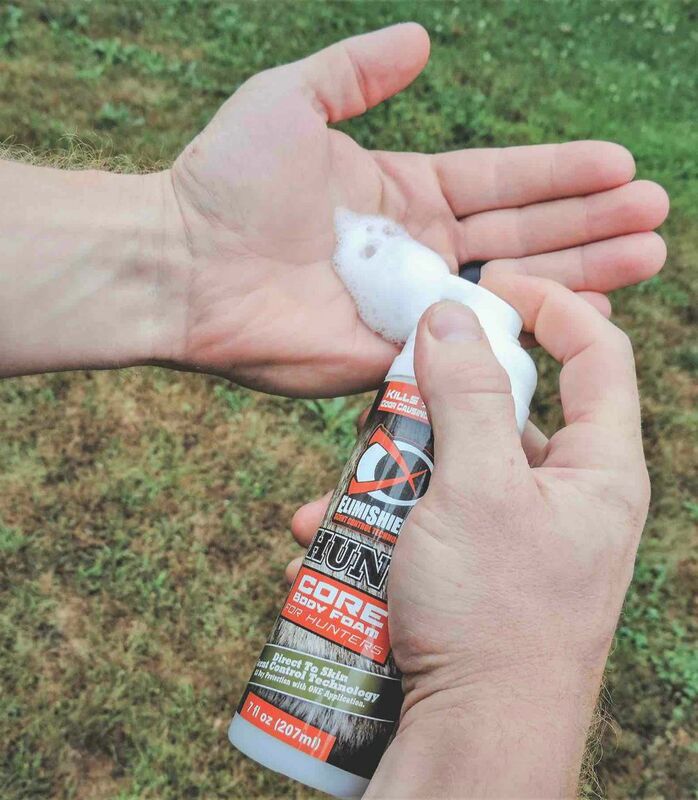 While ElimiShield Hunt offers multiple scent-eliminating products for hunters, most notable is the CORE Body Foam — the first and only FDA-compliant scent-control product. Most bacteria-killing foams and solutions use alcohol, but alcohol is merely a short-term solution to killing bacteria since its effectiveness fades when it evaporates. Plus, it can be hard on your skin. ElimiShield CORE Body Foam is safe to apply directly to your skin. “Hunters need all-day odor protection as we hike or sit in stands,” Lancaster said. “CORE Body Foam is a direct-to-skin product with Benzalkonium chloride (BZK) being the active ingredient. The BZK, along with the ElimiShield chain of molecules, bonds to your skin, thus creating a shield against bacteria and eliminating odors for hours. 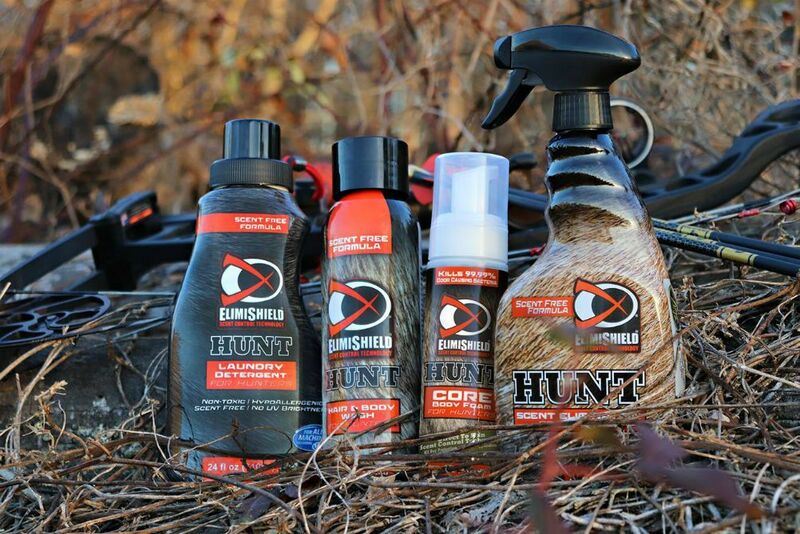 ElimiShield Hunt also offers laundry detergent, hair-and-body wash and scent-elimination spray in addition to CORE Body foam. For more information, visit www.elimishieldhunt.com. ElimiShield offers a wide variety of products designed to fool a big game animal's nose.